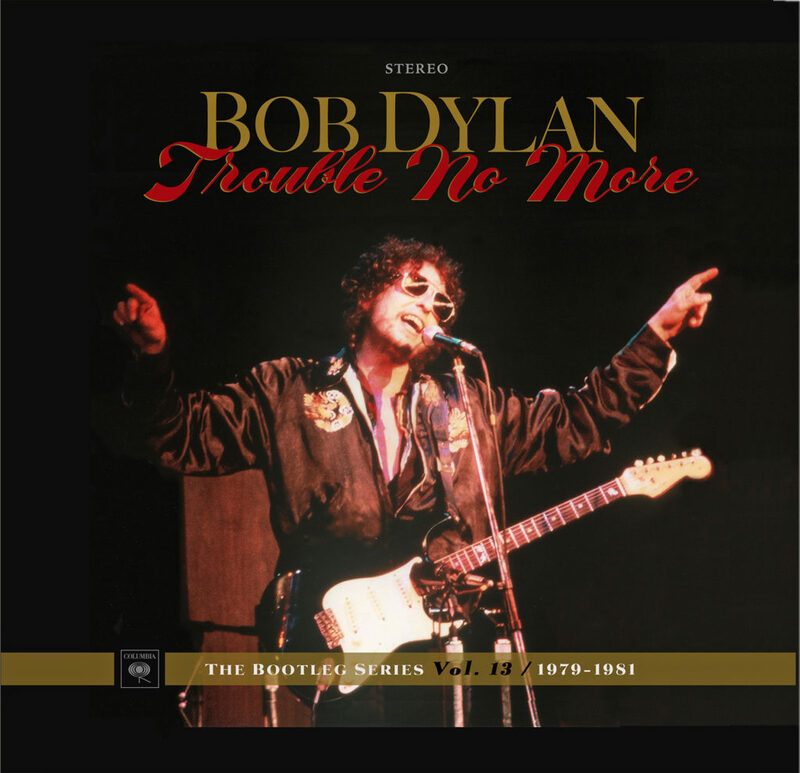 Columbia Records and Legacy Recordings, the catalog division of Sony Music Entertainment, has just issued Bob Dylan-Trouble No More-The Bootleg Series Vol. 13/1979-1981 this month. The deluxe nine-disc (8CD/1DVD) box set is the latest volume in the acclaimed Dylan bootleg series. The anthology premieres 100 previously unreleased live and studio recordings including 14 Unreleased Songs. The latest chapter in Columbia/Legacy’s highly praised Bob Dylan Bootleg Series showcases the music Dylan wrote and performed during one of the most surprising, controversial and inspired periods of his career. As the 1970s ended and the 1980s began, Dylan responded to the changing of the decades with a three-album trilogy — Slow Train Coming (1979), Saved (1980) and Shot of Love (1981) — of spirit-filled songs of praise, worship, devotion, the power of faith and force of personal conviction. 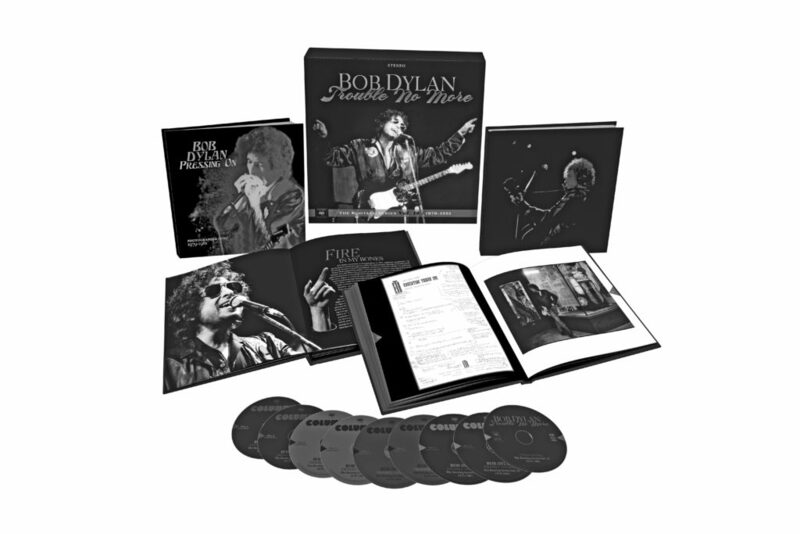 Available exclusively on the deluxe box set is a DVD which includes Trouble No More: A Musical Film, a new feature-length cinematic presentation combining unreleased footage from Dylan’s 1980 tours with new material written by Luc Sante and performed by Academy Award nominee Michael Shannon and directed by Jennifer Lebeau. Bonus extras on the box set’s exclusive DVD include a rare performance of “Shot of Love” from Avignon 1981 and more. Bob Dylan-Trouble No More-The Bootleg Series Vol. 13/1979-1981 is also available in 2 CD and 4 LP configurations featuring the first two discs from the deluxe box. With the exception of “Ye Shall Be Changed,” released in 1991 on The Bootleg Series, Vol. 1-3, none of the tracks on Trouble No More have been previously released. This collection debuts 14 previously unreleased songs and a multitude of unreleased live performances, rare studio outtakes and more. The live concerts from this crucial epoch in Dylan’s history contain some of the most intensely jubilant and transcendent performances of his career. I saw one of the November 1979 concerts at the Santa Monica Civic Auditorium in Southern California. Drummer Bruce Gary, then with the Knack, and I were invited to the show by our dear friend Jim Keltner who arranged tickets and all access passes. I entered the venue doubting Dylan’s recent religious conversation. I really had no grasp of the back story. And I was also too cynical to let someone be who they wanted to be in the public arena. The sense of community on display backstage was really powerful. Bob’s bassist, Tim Drummond, made me laugh telling stories about touring with James Brown in Vietnam. The spiritual aspect of Dylan’s current songs in front of a crowd became even more apparent. I reviewed the transformative night for Melody Maker. I seem to remember at this 1979 gig a slew of gospel numbers from his female vocalists opening the performance before the star-turn arrival of seemingly born again Christian songwriter Dylan occasionally spieling on stage about our current world. On the boards, Dylan was like a preacher or evangelist offering between-song sermons at times about a potential gloom and doom apocalypse which have been edited out of this Trouble No More package. I think a non-truncated edition might have presented a fuller document on the journey Dylan had embarked on. 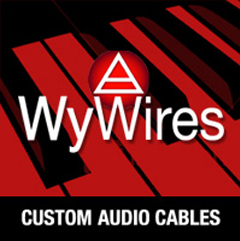 Dylan’s intense live vocals captured on these discs are convincing and his tour band smoked. When I caught his 1979 live action, Dylan connected with the sometimes baffled but adoring throng. “In the Garden” sounded like a track that could have been on Abbey Road. “The 30 or so months covered by this box set found Dylan inhabiting, temporarily, a familiar, dramatic, gospel-singing character who could speak/sing with real emotional power and conviction, and that’s what I return to in this box set, the drama of this character,” offered KEBF-FM deejay and Dylan scholar, Dr. James Cushing. “A lifelong atheist by temperament, I could care less about the ‘message,” he underscored. “I simply find Preacher Bob a lot more intense than the Homebody Bob of Nashville Skyline or the Unmoored Bob of the Tom Petty/Grateful Dead period. “Inhabiting this character almost cost Dylan his career; Saved was such a dud that he had no solo hits until 1997, a 17-year drought broken only technically by the success of the Traveling Wilburys. In November, I spoke with drummer Jim Keltner about his 1979-1981 road stint with Dylan. “I received a phone call from Bob wanting to know if I’d like to hear his new album and maybe go on the road with him. I wasn’t really much interested in touring, but I always loved playing with Bob. “Earlier in the ’70s, the recordings I did with him like ‘Watching the River Flow’ and ‘Knockin’ on Heaven’s Door’ for the Pat Garrett & Billy the Kid movie were so good, I just had to go see what he was up to now. “So I went over to his studio in Santa Monica to listen to the album. I was put in a little room with a chair and some speakers. There was a box of Kleenex on the table next to me, and by the third song I started to cry and cried practically all the way through the end of the tape. “I didn’t realize at the time, of course, what an effect it would have on my life. “I loved the rehearsals for the tour. The first one was 9/11/79. “Every day the most incredible fresh food was delivered for lunch. Occasionally, Bob’s longtime boyhood friend, Louie Kemp, [Kemp Fisheries] would send these big card board boxes of fish. Salmon, lox, and smoked fish. One big box contained a huge smoked trout. I, to this day, have never tasted anything so fantastic! 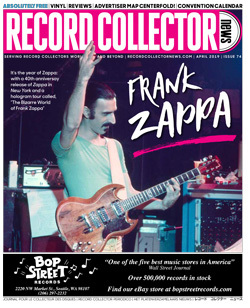 “Bob assembled a stellar cast of musicians and singers. Tim Drummond, one of my very favorite bass players, [guitarist] Fred Tackett, Spooner Oldham on organ, and one of the greatest Gospel piano players I ever heard, Terry Young. “And the incredible singers: Clydie King, Helena Springs, Regina McCrary, Carolyn Dennis, Mona Lisa Young, Gwen Evans, Mary Elizabeth Bridges, and Madelyn Quebec. “We ran through all kinds of different songs. His brand-new ones from Slow Train and even some old classics like ‘All My Tomorrows’ by Sammy Cahn and Tommy Edwards’ ‘It’s All in the Game.’ We even played a very cool version of ‘The Ballad of High Noon’ from the movie with Gary Cooper and Grace Kelly. The idea was to get used to playing together without running the show into the ground. Bob Dylan-Trouble No More-The Bootleg Series Vol. 13/1979-1981 is a nine-disc (8CD/1DVD) box set. “Playing Bob’s music in front of so many people on the road was a very powerful experience. I didn’t know it at the time but I eventually realized that we had all been part of one of Bob’s most important and creative periods. The last concert was 11/21/81 in Lakeland, Florida. For many years I always wanted a box set of Dylan’s gospel expedition. Happy it became a retail reality. During December of 2017 we also celebrate the 50th anniversary of the Bob Johnston-produced Bob Dylan John Wesley Harding album, released December 27, 1967 on Columbia Records. By January of 1968 it was one of the most tracked LPs on countless FM radio stations in America and all over the world. It was Dylan’s eighth studio album. 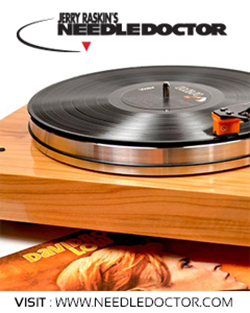 During 1968 the disc reached #2 on the U.S. record charts and a #1 slot in the U.K. charts. Dylan presented a collection of songs that placed ethics and homespun values in the forefront. References to the bible are everywhere, and they are placed side by side with a powerful sense of foreboding, which permeates such songs as “All Along the Watchtower,” “Drifter’s Escape” and “I Dreamed I Saw St. Augustine,” among others. Who are those three other guys with Bob on the John Wesley Harding cover ? and are those really several Beatles hidden in the tree bark ? While Dylan couldn’t have possibly foreseen the events of 1968 — the murders of civil rights leader Martin Luther King, Jr. in April and Democratic Presidential candidate Robert F. Kennedy, which were to impact the world more than any other year of the 1960s — the songs on the album provide an eerie glimpse of what was to come, and along with the first two Band albums and Dylan’s own Nashville Skyline, probably helped more people get through the end of this tumultuous decade more than any other. 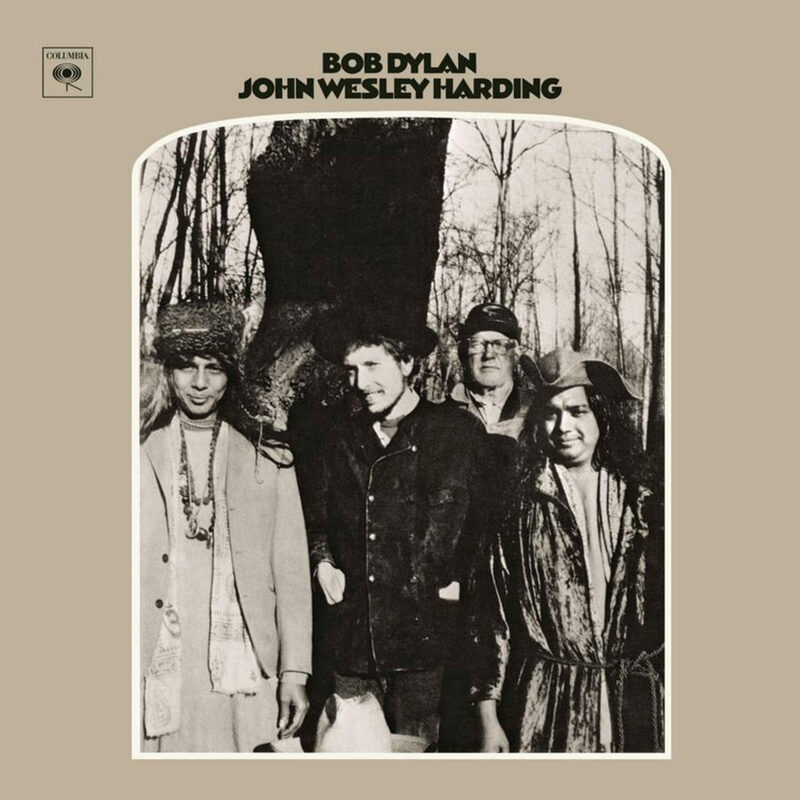 John Wesley Harding was written and recorded by Dylan between October 17th and November 29, 1967 during the collective aftermath following the release of Sgt. Pepper. The fact that during this exact period, the pop music landscape was virtually littered with post-Sgt. Pepper spin-offs, and that Dylan and his producer Bob Johnston both were thinking along similar, fundamental lines, speaks volumes. Johnston allowed Dylan’s simple dark vision to happen without interference. Charlie Bragg engineered the recording sessions. John Wesley Harding served as the subsequent blueprint for the emerging singer/songwriter genre and country-rock bin section just around the retail corner. “The only thing I can compare John Wesley Harding to in 20th century pop is Bowie’s Berlin trilogy,” volunteered writer Daniel Weizmann in an email to me in 2017. “In both cases, a leader of the zeitgeist dared to shake off their own mythological persona and ‘humanize.’ And in both cases the gesture was so uncynical and urgently felt by the artist that what they created didn’t just add a dimension. It made us understand better what they had been saying all along. 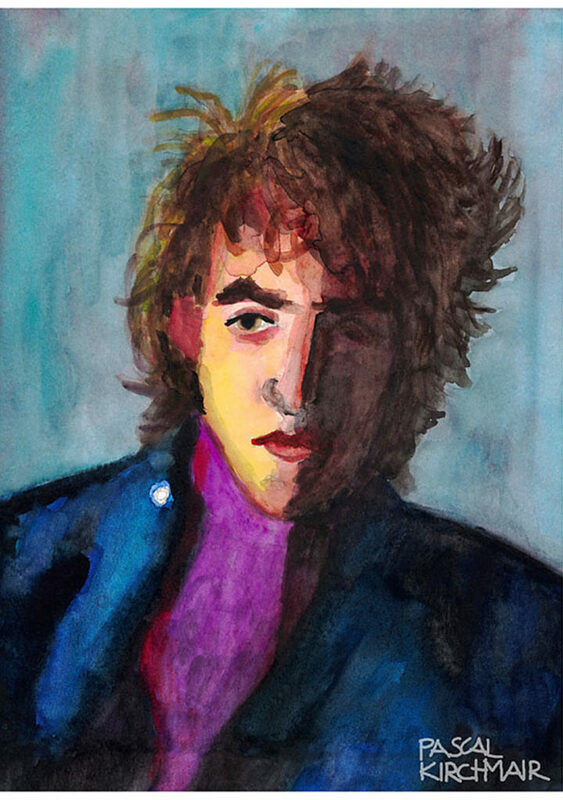 “Much has been made, of course, over Dylan going electric two or three years earlier, it’s become a kind of trope for ‘Entering our modern era’ — compared freely to Picasso’s cubism and other modernist rebel cultural plays. But to me John Wesley Harding was the greater actual rebellion: Here’s Dylan choosing to swim not just against the original folk culture that spawned him but against the counter-culture that he spawned, against the very grandiosity that was holding him in place. One thing is for sure — six months after Sgt. Pepper’s. The flowering of volume in rock music, and the summer of media-saturated love — Dylan took a stand against the electric swarm. “I mean, after such a long blonde wait since Blonde on Blonde, not to mention the full-on stereophonic circus with which various Beatles, Doors, Mothers, Monkees and even Stones had assaulted our hearing throughout the ensuing year, John Wesley Harding was in so, SO many ways the cooling calm after the sonic storm. “And not just musically, either! Even the simple, quasi-pastoral setting in sepia that greeted us with that album cover — Who ARE those three other guys with Bob? and Is that REALLY several Beatles hidden in the tree bark ?? — scarcely prepared our overworked eyes and ears for the characteristic curveball Dylan again spun our way. Unless you were so prescient as to have heard Brian and his Boys’ equally unpsychedelic Wild Honey long-player just a few weeks before, JWH took only 38-and-a-half minutes to utterly rearrange one’s perceptions, and expectations, for all things rock and roll as the dreaded Year of ‘68 dawned. 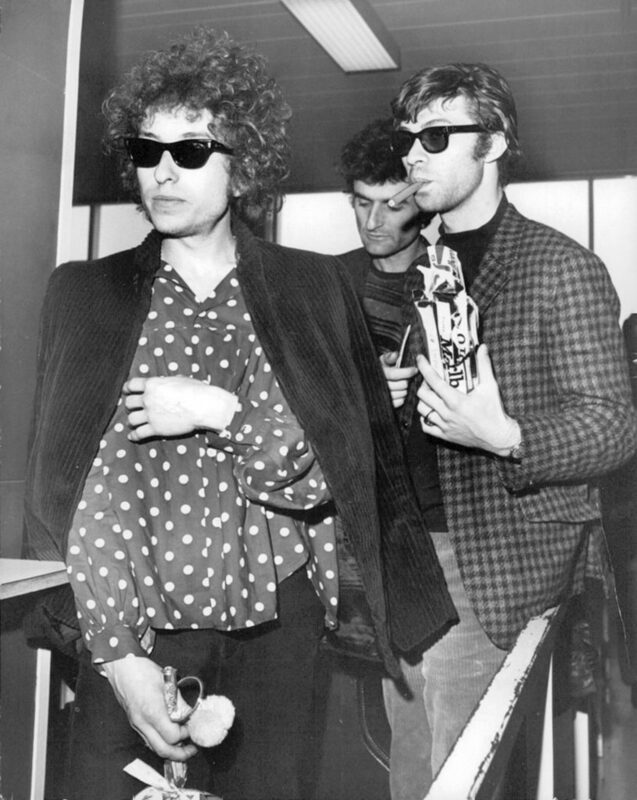 Bob Johnston, who had produced Blonde on Blonde in 1966, met up with Dylan again in 1967 at a Ramada Inn in Nashville, Tennessee before working on John Wesley Harding together. this half century audio item should come from poet/musician Mick Vranich, who in 2007 sent me an observation entitled John Wesley Harding revisited. Harvey Kubernik is the author of 12 books. His debut literary music anthology Inside Cave Hollywood: The Harvey Kubernik Music InnerViews and InterViews Collection, Vol. 1 was published in November 2017, by Cave Hollywood. Kubernik is also writing and assembling a multi-voice narrative book on the Doors, to be announced December 8th, and scheduled for publication the first part of 2018. Over his 44-year music and pop culture journalism endeavors, Kubernik has been published domestically and internationally in The Hollywood Press, The Los Angeles Free Press, Melody Maker, Crawdaddy!, Variety, The Hollywood Reporter, MOJO, Shindig!, HITS, The Los Angeles Times, Ugly Things, and Record Collector News.